Forced to give up his room, Elio (Timothée Chalamet) resents Oliver’s (Armie Hammer) presence. Oliver is living with Elio’s family as he helps Elio’s father with his work at the university. Oliver’s casual, American personality doesn’t sit well with Elio. As the summer passes, Elio spends most of his time hanging out with his friends. He begins to explore things more physically with his girlfriend Marzia (Esther Garrel). Even after his first sexual encounter with Marzia, Elio begins to realize he is attracted to Oliver. Afraid to say anything, Elio finds excuses to spend time with Oliver, finding other outlets for his attraction. Elio and Oliver’s increasing flirtation leads Elio to finally kiss Oliver. Hesitant about the complications any relationship could bring, Oliver tells Elio things cannot go any further. Elio is unrelenting and eventually tells Oliver exactly how he feels. Elio leaves a note for Oliver, who responds with his own note telling Elio to meet him at midnight. Call Me By Your Name is a confusing, meandering coming of age movie that left me scratching my head at its multiple Oscar nominations. Timothée Chalamet stars as Elio, a young Italian boy who is coming to terms with his sexuality. He is not mature enough to handle a relationship and resorts to antics appropriate for his high school aged character. Armie Hammer is a grad student working for Elio’s father. While he is initially attracted to a young woman from town, he isn’t able to resist the allure of Elio’s attention. Oliver’s first instinct is not to pursue anything with Elio due to their age difference. The performances are fine for the movie, but I’m not sure Chalamet is deserving of a Best Actor nod. The story wanders all over the place, with no particular focus. The film is based on the final novel of a trilogy of books, so there may be more to the story that I am missing. Elio’s behavior is that of a typical teenager. He has become infatuated and goes after what he wants, regardless of the consequences. There are scenes with Elio literally climbing all over Oliver that accentuate his immaturity. Oliver seems as if he will take whatever attention he can get, whether it be the women fawning over him or the 17-year-old son of his employer. He never really has any connection with anyone, only taking what is available at the moment. Given the climate in Hollywood these days, I’m surprised a film exploring the sexual relationship between a graduate student and a high schooler is getting so much praise. The story isn’t focused enough for a Best Picture nomination, and the acting isn’t at the level of the other nominees this year. 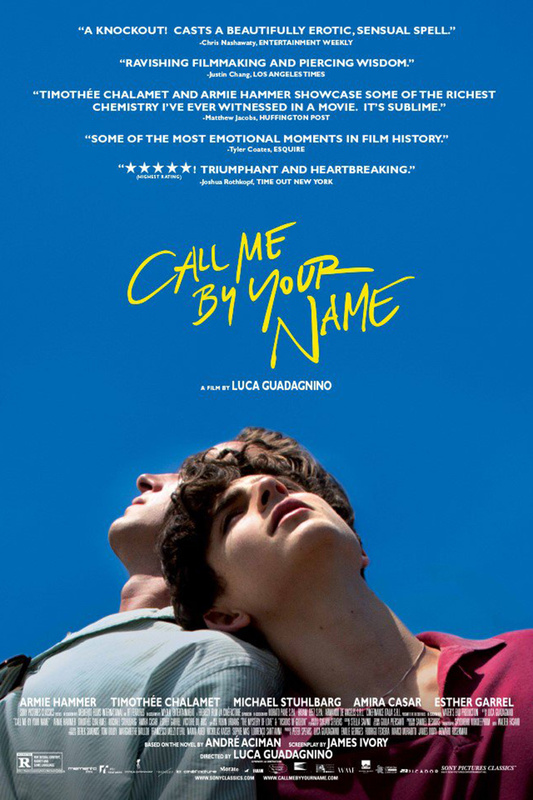 If you’re one who watches all the Best Picture nominees for the Oscars, see Call Me By Your Name to check it off your list. If not, skip it. Be warned, you may never want to eat a peach again.